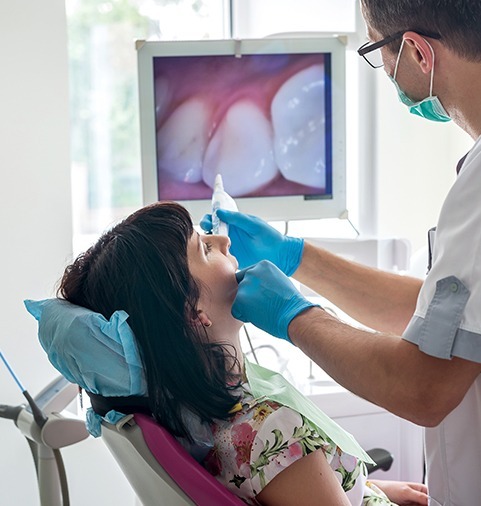 At Dental Designs of New England, we’re committed to providing the highest-quality care possible, and in order to do that, we need to use the right instruments. That’s why our office is filled with some of the most advanced dental technology available today, enabling us to catch, diagnose, and treat dental problems in record time. You’ll be amazed at how fast and easy your appointments can be using the latest technology. Schedule an appointment today to come experience the best that modern-day dentistry has to offer! 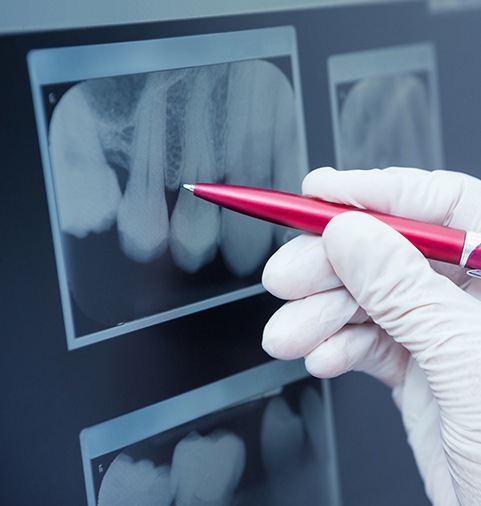 X-rays are essential to helping us spot dental problems even before they are visible to the naked eye, and to make this tool faster and safer for our patients, we’ve gone completely digital. Compared to traditional film-based X-rays, digital X-rays can create highly-detailed images in just a fraction of the time, they don’t require toxic chemicals to be developed, and they also emit up to 80% LESS radiation. Plus, we can quickly display them on a nearby monitor for you to go over and better understand with your dentist. Digital imaging allows us to show you the potential results of specific treatments before you commit to them. It an extremely helpful resource for patients considering restorative or cosmetic dentistry. Along with digital X-rays and imaging, we use photography to help document and treat patients. Why? Because the more information we have to work with means better options, and ultimately, better results for our patients. Photography allows our patients to be informed and active participants in their dental health care. We review your photos so you can see what we see. A well informed patient is our optimal goal. Our intraoral camera finally gives you the ability to see your smile from your dentist’s point-of-view. This small, pen-sized device is tipped with a high-resolution camera, which can easily fit into the mouth to capture images we can instantly show you on a chairside monitor. 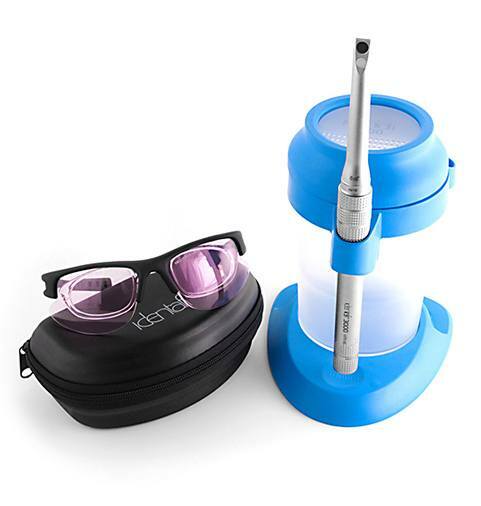 This will turn your appointments into a fun and interactive experience, helping you gain a deeper understanding of your oral health so you can become a more active participant in your dental care. Lasers have come to dentistry! 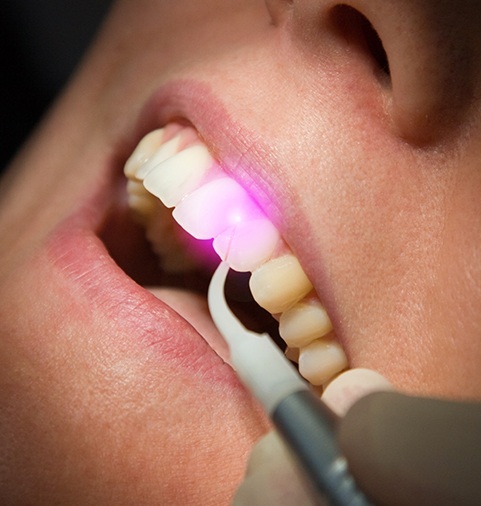 In truth, dentists around the world have been using lasers in one form or another since the mid-90’s to perform a wide variety of dental procedures more efficiently than ever. In our office, we can use our soft tissue laser to eliminate bacteria hidden deep beneath the gum line, painlessly remove infected tissue, and even provide quick and beautifying gum lifts. No matter what it’s used for, the experience is always quick, comfortable, and delivers reliable results. Does it seem like you’ve tried everything to get rid of your headaches with no results? 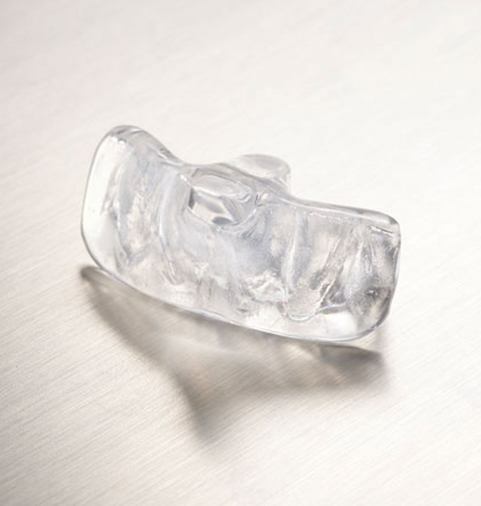 Have you been told you need a nightguard because you grind or clench your teeth? The NTI-tss is a revolutionary, drug-free device that prevents the problem behind the headaches – chronic teeth grinding. With NTI-tss, you can say goodbye to tension headaches and hello to a healthier smile! Originally designed for migraine sufferers who were looking for a drug-free alternative therapy, the NTI-tss device is an FDA approved dental device. We use it instead of the big bulky nightguards that don’t really stop your grinding or clenching habit. Why have a piece of plastic in your mouth that you can just grind through? The NTI is designed to PREVENT grinding. This state-of-the-art oral cancer detection device illuminates suspicious oral lesions and helps detect oral cancer in its earliest stages. Early detection and treatment are vital to arresting oral cancer and greatly improve the rate of survival for patients with this disease. At Dental Designs of New England, Dr. Shetty and Dr. Braga offer several amenities for your comfort. Our main goal is to ensure your time with us is productive, efficient and comfortable! If you have any special requests or would like to make an additional consideration, do not hesitate to talk with our team prior to your appointment. it back, relax, and before you know it, your visit is done! With a great big TV right above you as we do all the work, going to the dentist has never been more fun! With wireless headphones, adults and kids can listen to music, watch a movie or TV show, and you can even bring your own DVD or play a PS3 game! Whatever you choose, you won't believe how quickly your appointment is finished! Music has proven an extremely helpful tool that inspires tranquility in our patients. With personal headphones, you can drown out ambient noise and focus on your favorite artists. Clinical smells often create negative associations, and trust us, we dislike those smells as much as you do! Aromatherapy keeps our office smelling fresh, clean, and nothing like a dental office. We encourage our patients to help themselves to our complimentary beverage bar, which includes bottled water, coffee, juice, and tea. Refresh your smile and quench your thirst at the same time!